Fighting a cough is a tiring thing, so falling asleep should be the easiest thing to do when fighting a cold, right? For most people, the strong desire to sleep away a cough is thwarted by the discomfort and disturbance of the cough itself. We drift on the edge of sleep, only to have our bodies wracked with spasms, a series of loud hacks, and the burning, raw feeling, like we’ve just pulled sandpaper up through our throats. So how do we get the rest we need to fight the cold? Here are a few common methods, and how effective they might be. 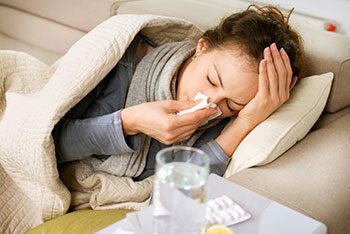 Common Ways To Fight A Cold Myths or Truth? Unfortunately, tests have shown that taking vitamin C, even in large doses, has no power to suppress coughs or shorten the length or severity of colds. It’s a powerful tradition, but no better than a placebo. Likewise, Echinacea shows no benefits, regardless of how you take it. Garlic not only has no effect on your cold, but it takes your sniffling, runny nose and cough, and adds a heady odour to it – at least it can help you get a little extra room on the train to work, if you’re toughing it out and heading into the office. Irrigating your throat or nasal passages with saline feels more like a medical procedure, like you’re doing something to solve the problem, but unfortunately in tests, it shows no special ability to decrease the severity or duration of a cough due to cold. In each case, the placebo was just as effective. You cough when you’re trying to clear something from your windpipe. A cold uses this reflex to move from one host (you) to another (your partner, your kids, your boss…). It irritates your throat, causing you to cough it out into the room around you, onto doorknobs and other surfaces, even allowing it to be directly inhaled by other people. For the virus, making you cough is crucial to its survival. Cough a few times, cough harder, and you will feel the “need” to do so even more. It sounds strange, but the act of suppressing the urge to cough (due to a cold) is a great way to relieve at least some of the irritation. Delay the cough for a few seconds. Then cough as gently as you can. You will get a little relief and will prevent some of the irritation the virus is trying to cause. The medicinal efficacy of rubs and inhalants (like VapoRub) has not been studied much, but some improvement has been shown on tests that studied children with coughs due to colds. One the first day of use, the placebo did just as well, but by the second day there was a small – but measurable – improvement using the rubs. The smell may be enough to calm anxiety caused by the discomfort and may help you prepare mentally for sleep. The memory of having a menthol- or camphor-based rub administered in our childhood can be a strong, soothing thing in itself. 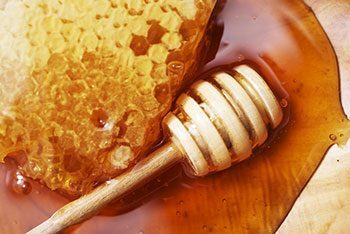 There is evidence that a simple teaspoon of honey can help depress that need to cough. Don’t give it to children under one year of age though, as there is a danger of contracting botulism. For the rest of us, studies show a little relief can come from this simple step. If your cough is a tougher one though, you may need to step it up to something stronger. The “cough and cold” aisle at your local chemist will include decongestants that will help to alleviate your cough, and in some cases will make you drowsy – which will help you to sleep despite some discomfort. A shotgun approach – trying several complementary methods at once – will help to decrease the discomfort. First, manage the natural anxiety brought on by feeling pain and discomfort. Snuggle into a warm bed, listen to soft, calming music, and use a menthol- or camphor-based rub on your chest. Second, have a warm cup of tea with honey to soothe your throat. You may need to step it up to a medicine purchased from the chemist for stronger coughs. A medicine which also makes you drowsy can help to push through the discomfort into sleep – check the label for a drowsiness warning, or ask your chemist. Third, have a glass of water beside your bed. Prop head and shoulders up on pillows to keep mucus from congesting your nasal passages and throat. This will help you to stay asleep once you drop off. Most efforts are not much better than doing nothing at all, but a combination of a few small benefits will help you sleep with a cough and get you the rest you need to get back on your feet.